today on Pick Your Plum….kraft paper treat bags! You guys. Today’s Pick Your Plum deal is for kraft paper treat bags. Do you know how excited I am? I’m throwing a birthday party in less than three weeks and I need these. I can pair them with twine to fancy them up, or I can leave them plain to keep things simple. I’m ordering an extra pack of the bags for Halloween, and possibly use at Christmas. (I’m thinking daycare holiday parties.) The polka dots and chevron patterns are my favorite. If stripes are more your style, they have them! What would you do with the treat bags? And I need to take one more moment of your time for a shameless Etsy plug. 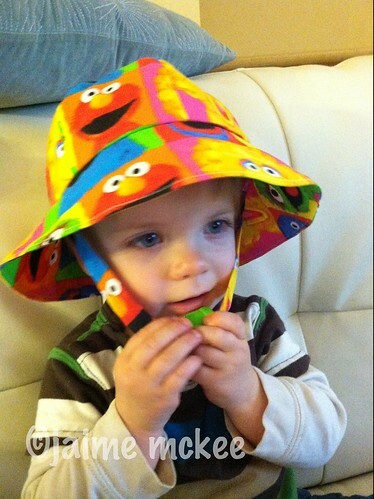 My mom made a super cute sun hat for my toddler a few months ago. I had her make another one, and it’s available for sale on Etsy. If you (or someone you know!) is interested in a toddler at, please check it out!